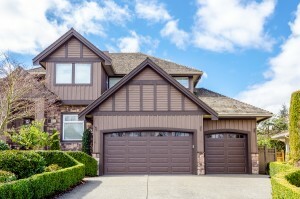 When your garage door needs to be replaced, you want a garage door company that will come out promptly to your Conover, North Carolina, home and perform an installation right the first time. In the Southeast, 31-W Insulation is the company that fits the bill. We are a family-owned and -operated business that homeowners have trusted with their home improvement projects for decades. To maintain the high standards that customers have come to expect, we rely on our factory-trained employees only, not subcontractors, for all our installation projects. No matter what door design you choose, you can trust your door to function without a hitch, day after day, because all our doors are constructed of heavy-duty materials for long-lasting functionality. And since our doors are backed by some of the best warranties in the industry, you’ll rest easy knowing that your purchase is protected. For more information on a garage door company that will give will your Conover, NC, home the respect it deserves, contact 31-W Insulation.